Katherine Munro and her famous Black Dragon, well known to many of you. Katherine painted him in 1994 when she came to newly born Dorje Denma Ling to take Levels 3- 5. Great Eastern Sun office building was just a barn at that time and neither main shrine room, Pavilion nor Gyatso existed yet. 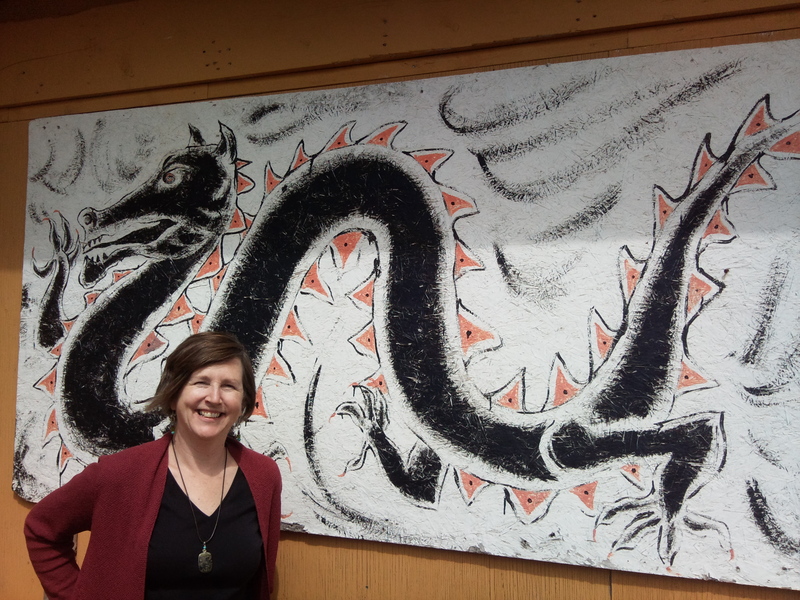 Today, 22 years later, she takes care of Dorje Denma Ling program planning and also of the Dragon. Here is her poem making him immortal in the world of words. Burn down the house of cards. Let us dance and play with you in the space beyond meeting, staying and parting.